pojemność: e 20 ml | 0,67 fl. oz. Give your hair softness and shine! 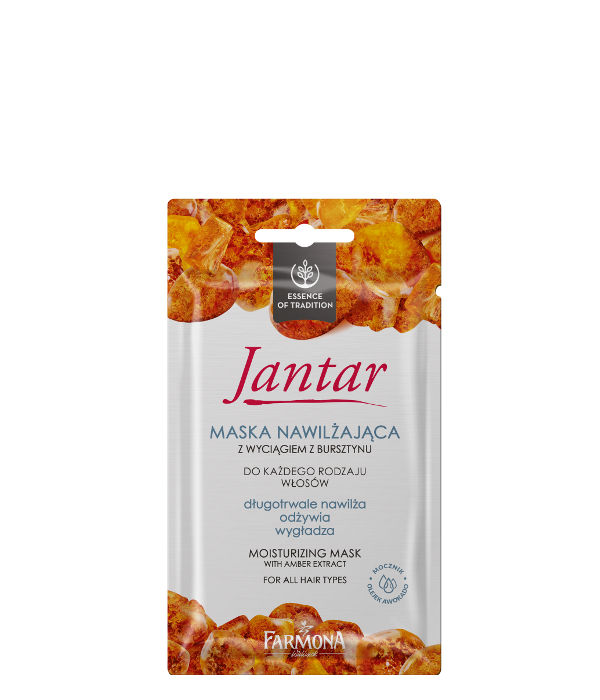 Jantar moisturizing mask is based on a unique and effective formula. It is a result of a long- term tradition of using the extreme properties of amber. Spread the contents of the sachet uniformly on the washed, towel-dried hair. Leave for 5 minutes and then rinse.